This photo was taken yesterday afternoon at an event where people of all ages engaged in creativity, play, and community building: a soup challenge fundraiser. 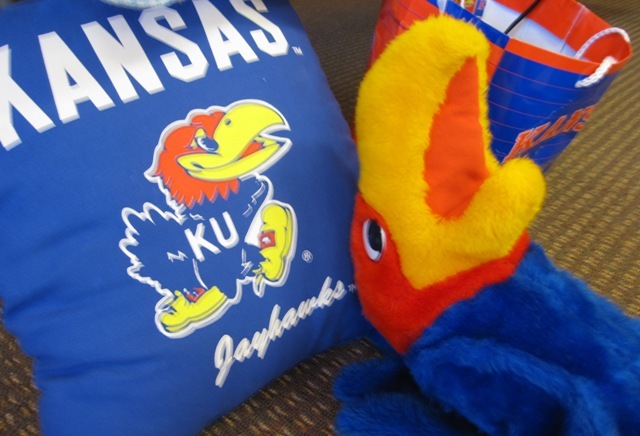 This Jayhawk puppet belonged to a 5-year-old who thought that the Jayhawk needed a nap before the event kicked off. We had fun from beginning to end! As very young children, we were naturally authentic communicators and conversationalists. But then somewhere down the line we began to be guided away from that natural, human talent as a shift occurred in our education that emphasized “the correct answer” and demanded careful, formal speech—speech that did not encourage engagement and dissuaded our true personalities from coming out, lest we run the risk of ridicule. But you are an adult now and you can change your destiny. You can find again that naturalness, creativity, and energy you had as a child and combine it with your knowledge, skills, and passion to make real human-to-human connections that lead to remarkable change. I’m considering how authentic action leads to genuine connections and on to “remarkable change.” As an organization development practitioner, I work with many organizations and individuals in transition – another word for change. How do I bring meaningful play into my work with clients? How do I combine the freedom and energy of play with my skills? How do I build, and lead others to build, relationships that are life-giving? Kathleen, thanks for this wonderful reminder of the releasing and creative power of play. Just this morning we were hearing from an organizational client about the need for more creativity in their business. When we asked them what role humor and play has in their culture, the conversation went silent. There was recognition of the valuable and necessary role that fun can have in increasing productivity and engagement. Thank you for sharing your story from the field. I hope your client will discover play as communication and play that opens the door to creativity.